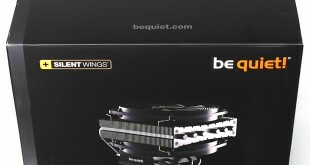 We have been waiting since March for the be quiet! 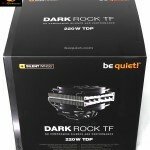 Dark Rock TF CPU cooler and now the day has finally arrived. 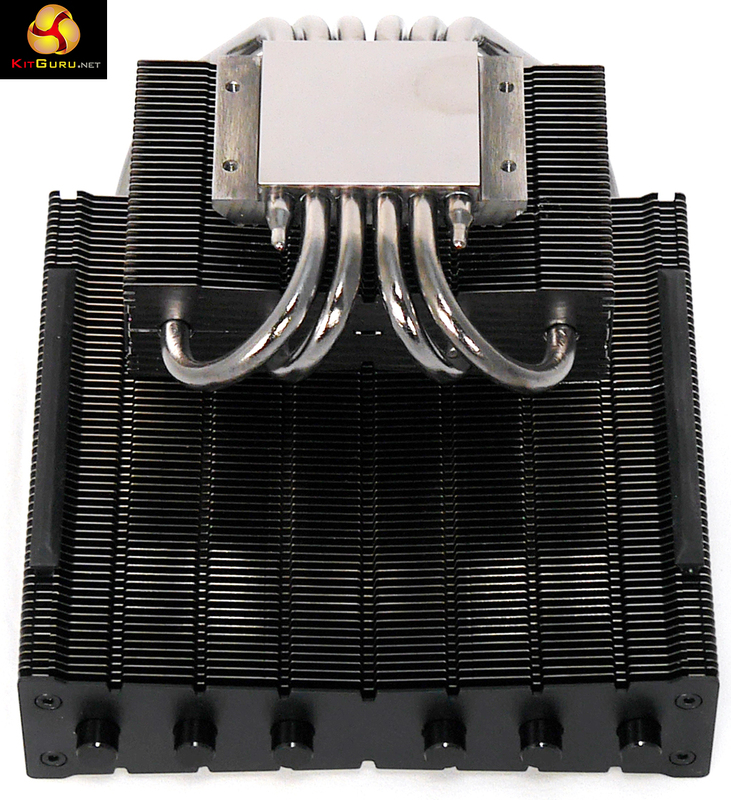 Other members of the Dark Rock family use a vertical box cooler design however the Dark Rock TF is laid down horizontally so we can safely say the TF suffix refers to a Top Flow arrangement. Dimensions: 163mm x 140mm x 131mm height. The layout of Dark Rock TF is slightly unusual, as you can see in the photos and video. 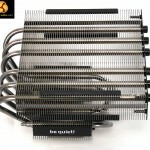 The nickel plated heat sink is connected to two aluminium radiators with six 6mm heatpipes going to the large upper radiator and four heat pipes connected to the small lower radiator. 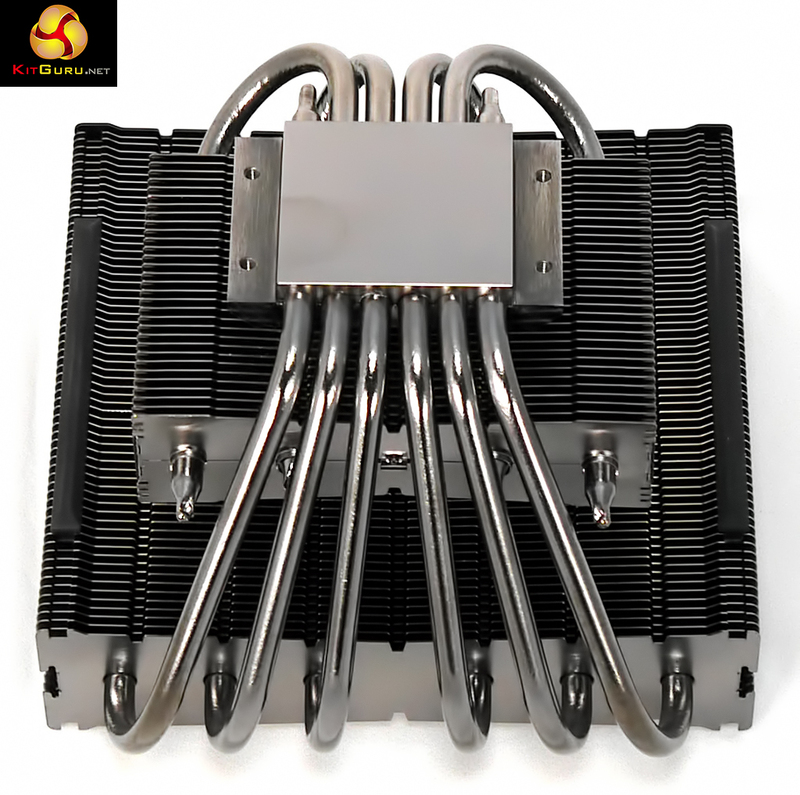 You can see this arrangement clearly in our photos and no doubt you will also see there is a mark on the nickel plating heat sink, however the surface of the metal is smooth and flat so this appears to be a cosmetic issue rather than a fundamental problem. It is a surprise to see that be quiet! 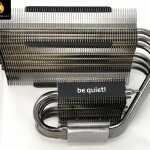 has used small 6mm heatpipes and hasn’t gone for a direct contact method of manufacture as this is a fairly sure way to keep temperatures to a minimum, however their claimed TDP figures of 150W and 220W suggest they have confidence in their design. be quiet! 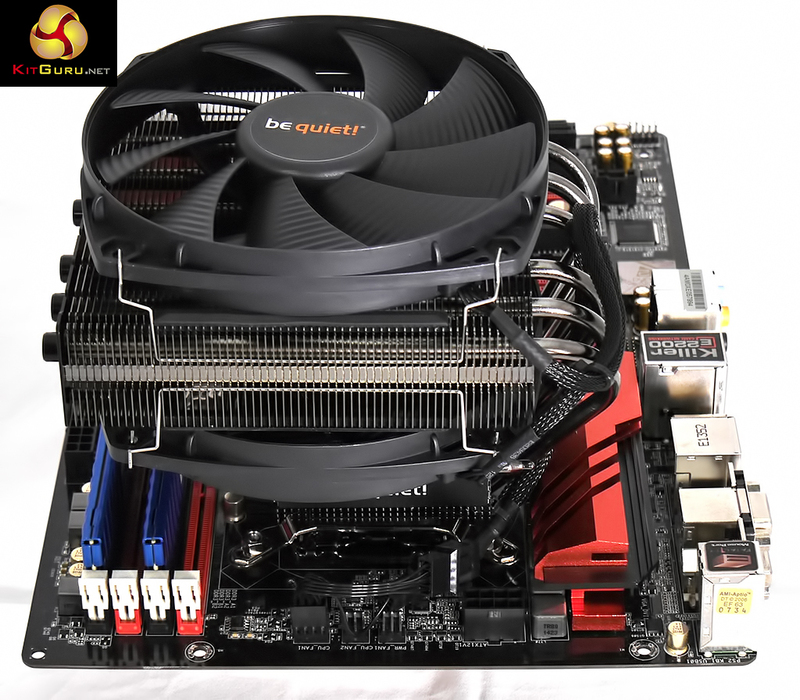 puts an emphasis on the way its mounting system can be used on pretty much any Intel CPU since Pentium 4 or any AMD hardware since Socket A. This is perfectly true however it makes it awkward to install the Dark Rock TF, as you will see in the video. 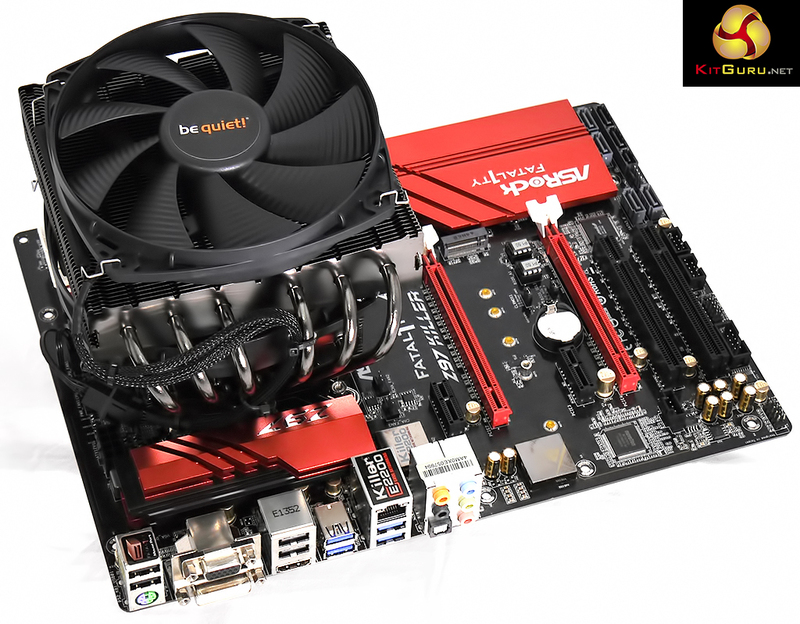 The AMD side of things isn’t so bad as AMD has used the same mounts for many years however Intel is tricky as LGA775, LGA115x and LGA2011 each use different hole spacings. The result is that be quiet! has used a system of sliding female threads that you have to line up with the captive male studs, and to add to the fun half of the hardware is hidden from view. 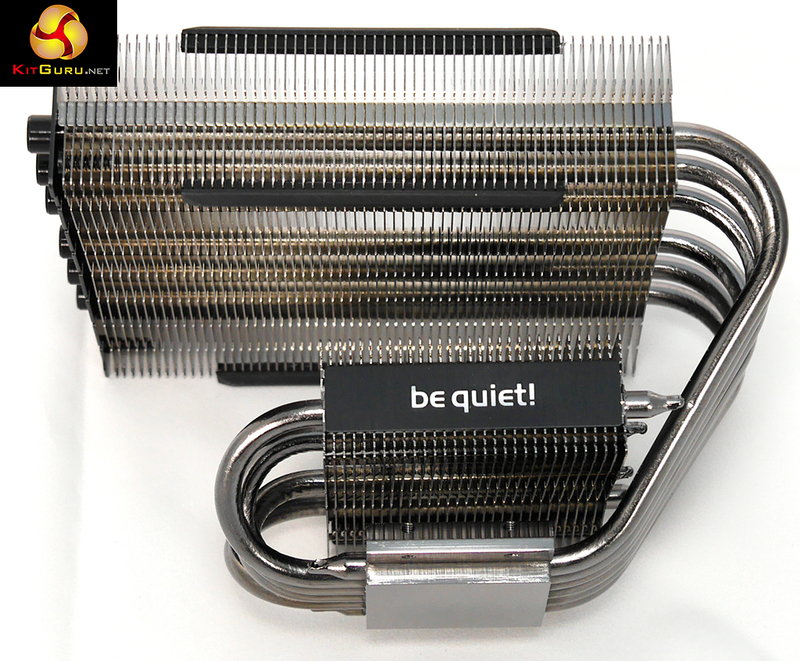 We strongly advise that be quiet! 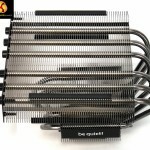 forgets about LGA775 and LGA1366 and instead takes a look at the hardware used by Noctua in the NH-D15 which is simple, effective and covers the mainstream CPU sockets we are likely to actually use. 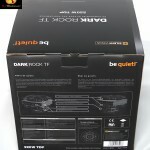 It would seem logical to test the be quiet! 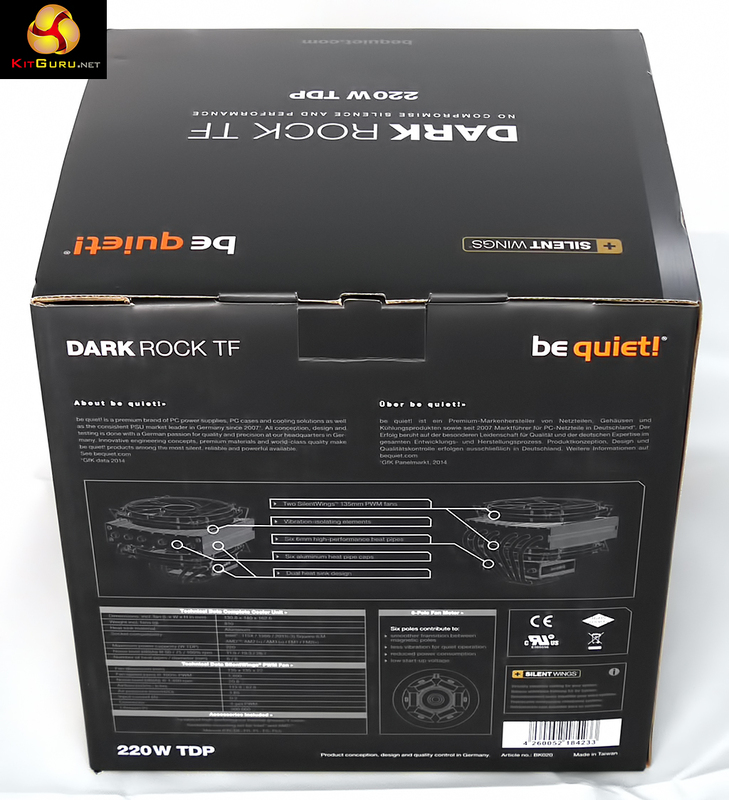 Dark Rock TF on an AMD FX platform as the 125W TDP would stress the cooler to a significant extent. 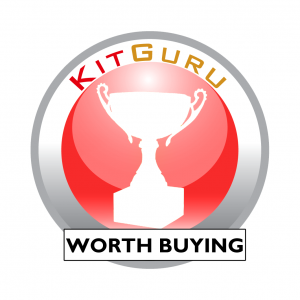 The obvious downside to this plan is that a very high percentage of enthusiasts reading KitGuru don’t use AMD hardware. 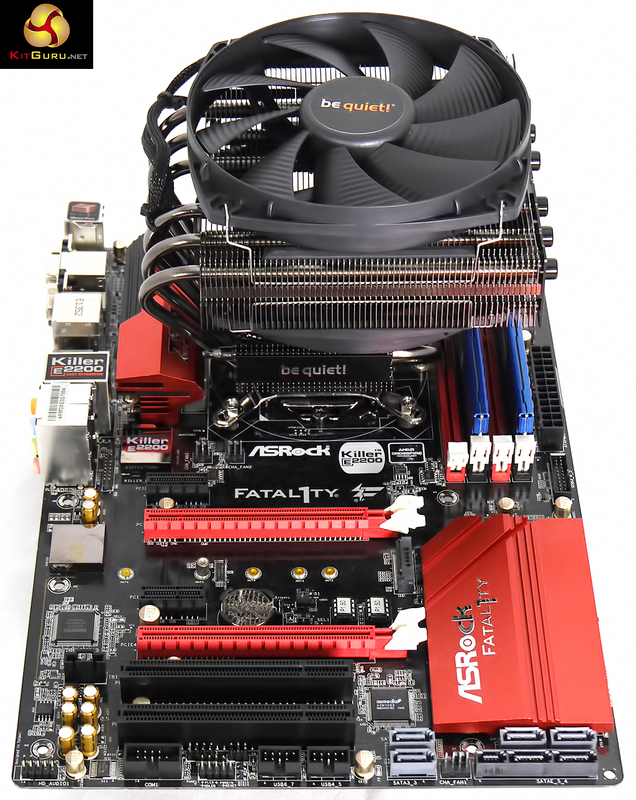 Instead we plumped for Core i7-4770K on an ASRock Z97 Killer motherboard to illustrate the mainstream scenario. Disconnecting the case fans starved the Dark Rock TF of cool air and ruined the test. 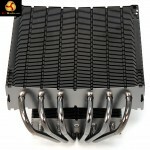 This 95W TDP CPU falls well inside the limits of the Dark Rock TF and at stock clocks it behaved flawlessly. Idle temps (with the case fans connected) were in the mid-20 degrees and under extreme load with AIDA 64 rose to 55 degrees. During these tests the PC was pulling 125W under load which is about 95W for the CPU and 30W for other hardware so while we were happy with the way the Dark Rock TF performed we were so far inside the TDP rating we weren’t actually proving very much. 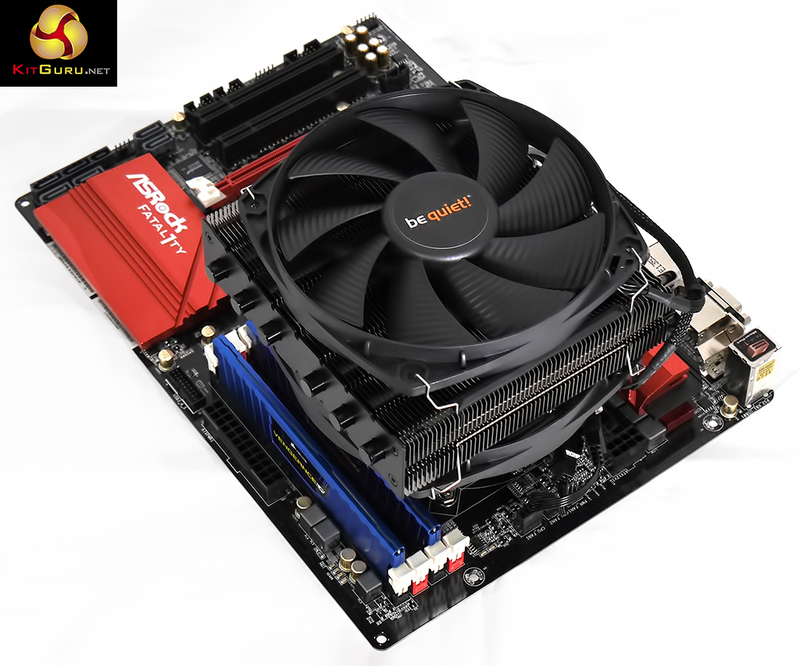 Cranking up the clock speed with the ASRock BIOS overclocking tool is a savage process that raises the core voltage from 1.1V to 1.3+V to deliver 4.4GHz of Turbo performance. This increased the system power draw to 200W under load so the CPU was now taking about 170W, which is a long way inside the 220W, limit however the temperatures shot up into the 80s immediately and then crept up close to 100 degrees but didn’t quite reach the stage of throttling. This might appear to mean you cannot over clock your Core i7 using the Dark Rock TF however that is not exactly the case. 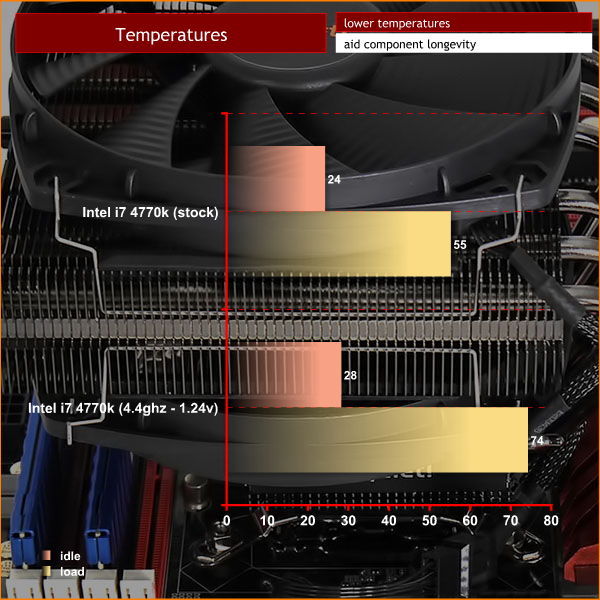 It is more accurate to say that the thermal limit of Core i7 is determined by the interface between the silicon core and the Intel heat spreader. 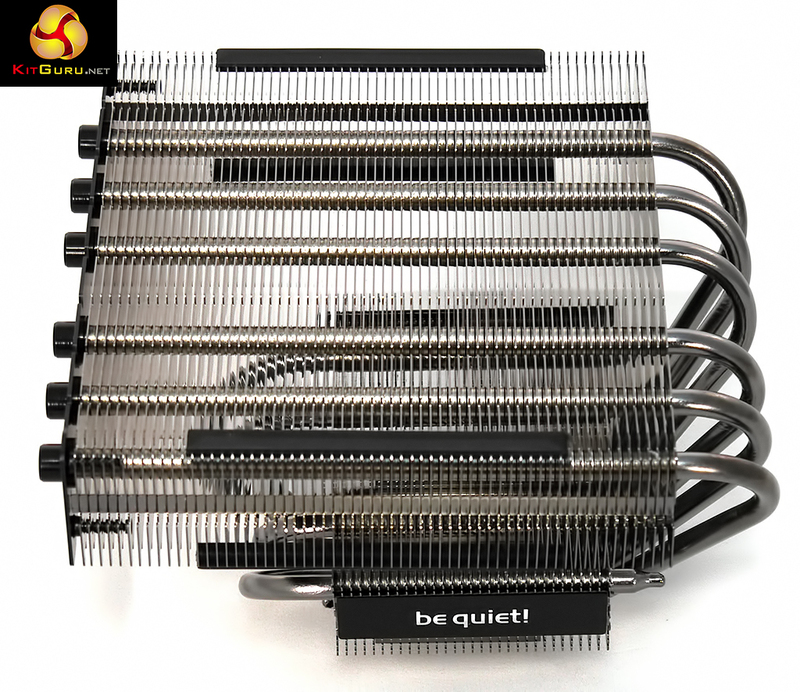 When you feed a huge amount of extra voltage to the CPU it cannot leave the core fast enough to take full advantage of the be quiet! cooler. So the weak link here is the internal packaging of the Core i7, rather than the cooler that you actually mount on your motherboard. 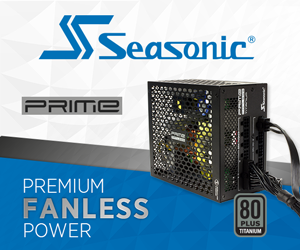 This means that while the 150W and 220W TDP figures may well be accurate they are essentially meaningless. We dropped core voltage manually to 1.24v and the cooler coped with the load much better (see graph above). 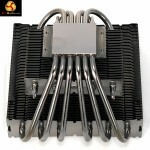 Some 4770k processors will not run stable at 4.4ghz with only 1.24v however. 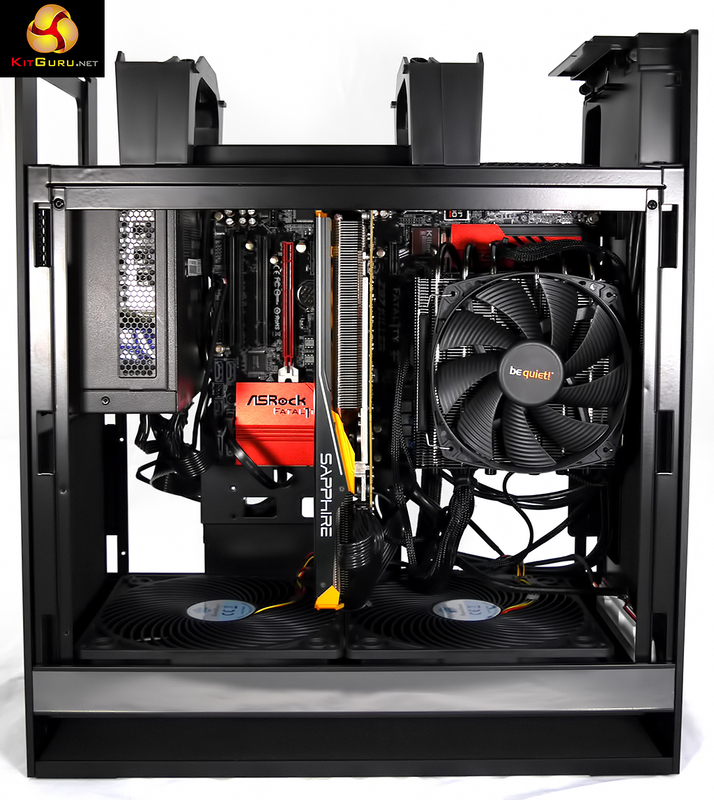 One area that is a complete success is the pair of SilentWings 135mm fans. 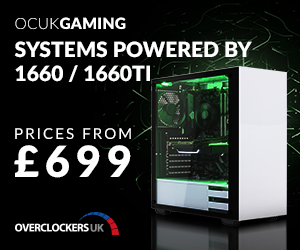 These are quiet by any standards and in our chosen SilverStone FT05 case are effectively silent. Running at a maximum speed of 1,400rpm (we actually saw 1,350rpm) the sound of the fans is completely drowned out by the two case fans, and they weren’t especially loud either. 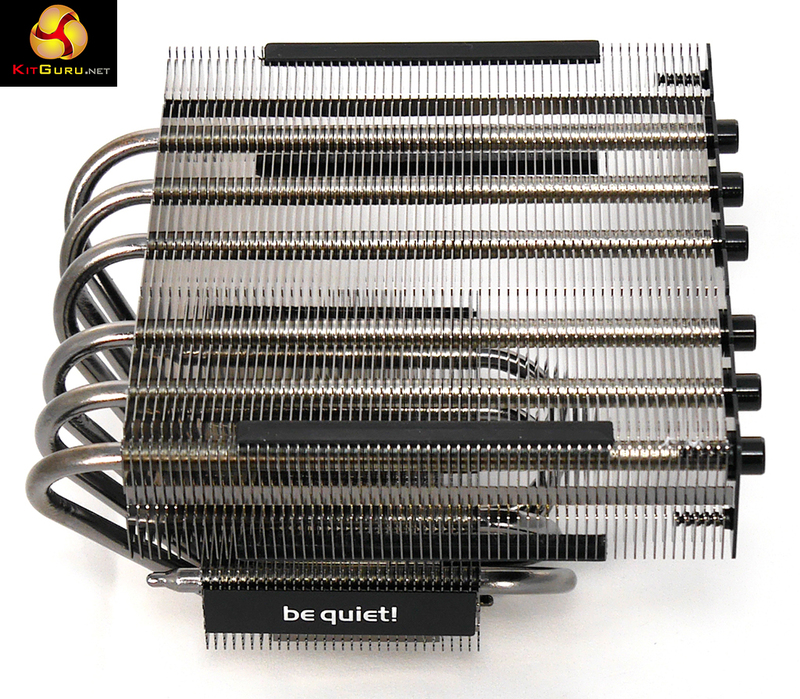 The be quiet! 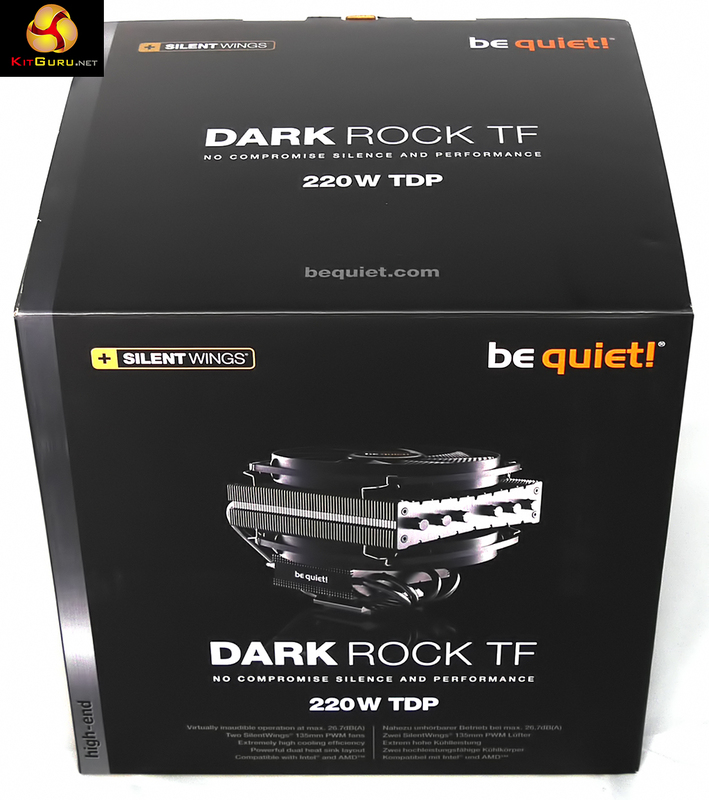 Dark Rock TF cooler is an effective cooler that is very quiet indeed however the mounting hardware is sorely in need of improvement. We said it before and now we’re saying it again. It would make life much easier if be quiet! acknowledged that most enthusiasts use Core i7 or i5 and that is pretty much the end of the argument. 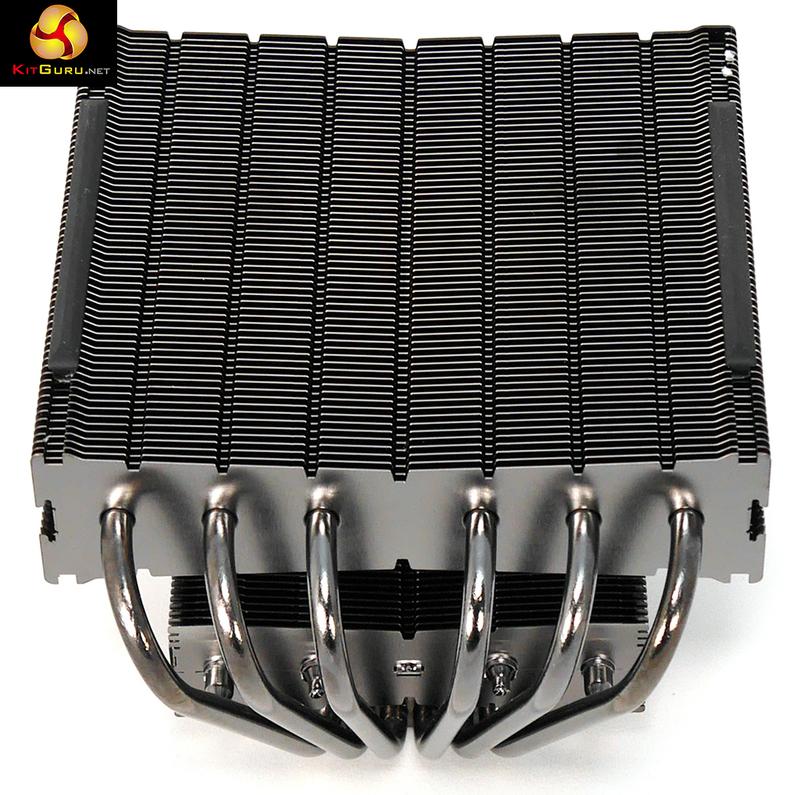 Once the cooler is installed it works well but should you need to remove it to gain access to a fan header or power supply cable you will almost certainly find it hard work. On the bright side the cooling and low fan noise are very positive points in favour of this new cooler. 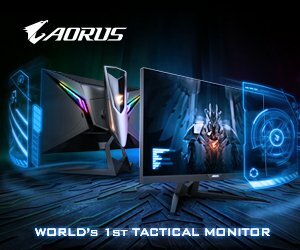 Comprehensive system of mounts favours owners of obscure CPUs. Neat styling and cosmetic appeal. 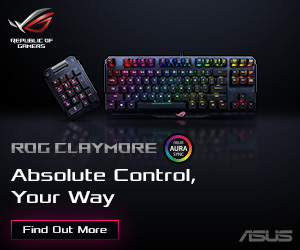 Awkward to install on Intel systems thanks to the sliding mounts. AMD mounting is better but you still have to locate female threads that are hidden from view. 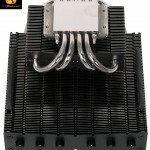 Pricing is the same as an All In One liquid cooler or Noctua NH-D15. Once the Dark Rock TF is installed you have very little access to fan headers, memory and your EPS power connector. The cooler does a fine job at stock clocks but never gets a chance to stretch its legs as the internal cooling of Core i7 isn’t much cop. 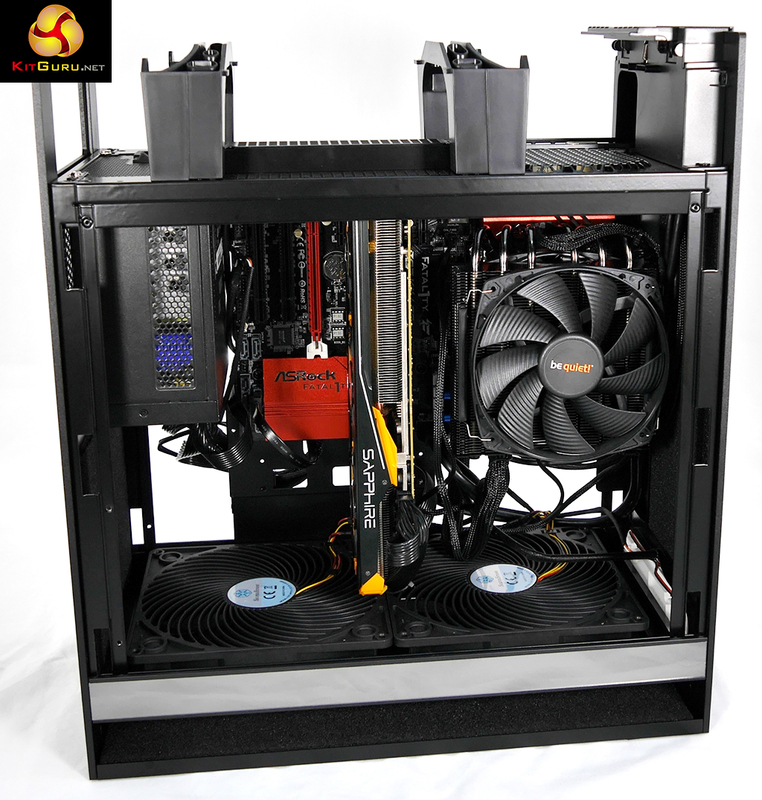 KitGuru says: Dark Rock TF is an impressive cooler however the mounting system is still somewhat disappointing, especially at this price point.